As we close in on the All-Star break and eventually the trade deadline, the Tigers sit in 3rd place in the AL Central behind Minnesota by a half game and 6 games back of KC. If all remains the same up to the deadline, are the Tigers buyers or are they going to be sellers? The Tigers are just 20-19 at home, this has to get better, right? 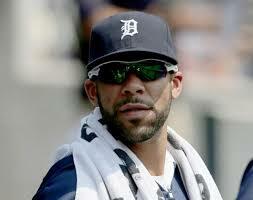 David Price is only under contract for the year, what can we really get for him? Ok, what do the Tigers need? A run producer/consistent bat as the team ranks 1st in the Major’s in batting average and on-base percentage, but 12th in runs scored, and 7th in slugging percentage. The starters ERA is at 4.24 and a 1.25 WHIP. This will depend on if you think JV can get back to a piece of his former self and if Shane Greene can recover to be somewhat effective. Then there is the question of at what point does Alfredo Simon fade like last year? The bullpen I think has actually outperformed expectations with a 3.65 ERA and 1.33 WHIP. Again, this hinges on a returning player I think, with Bruce Rondon and how effective and how healthy he can be. Still probably couldn’t hurt to have another arm. What Can The Tigers Trade? Too early to tell or is it?? ?